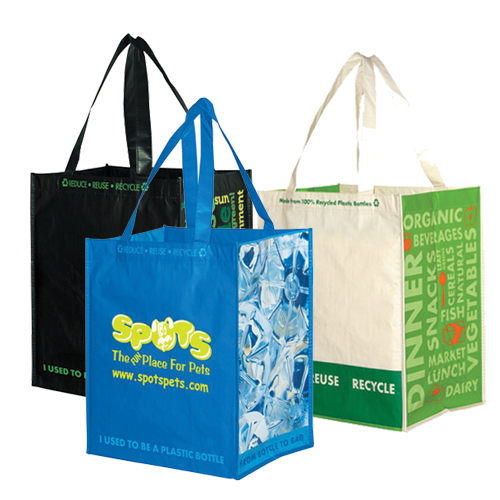 Want to let your customers know you are part of the environmental solution instead of contributing to the problem of plastic bags in our landfill? 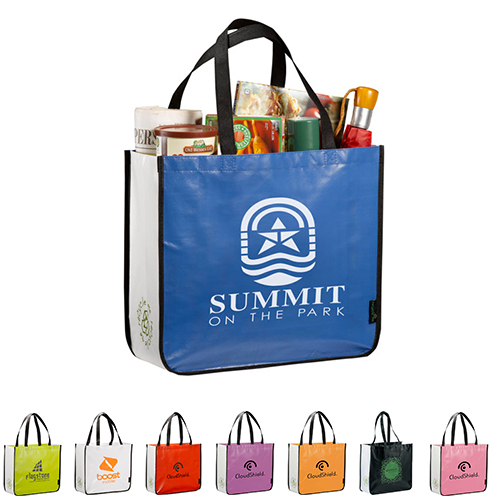 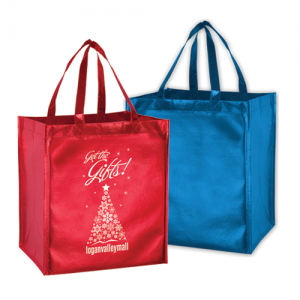 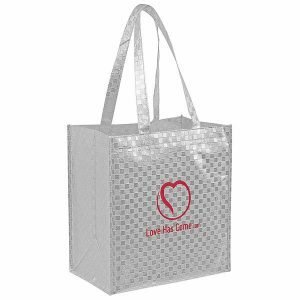 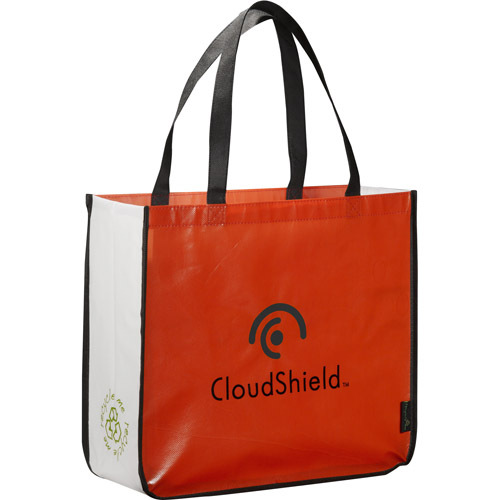 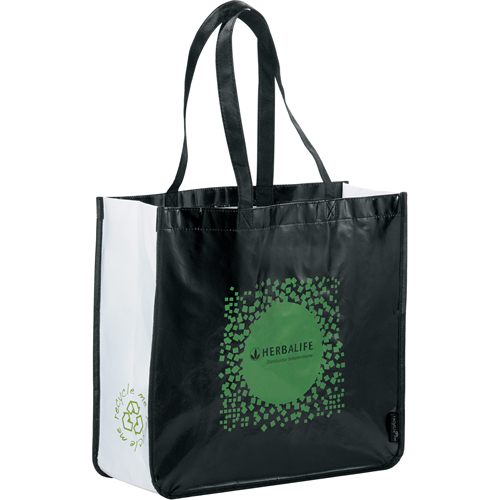 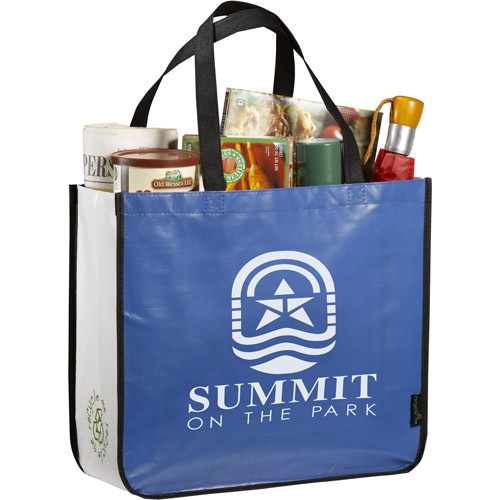 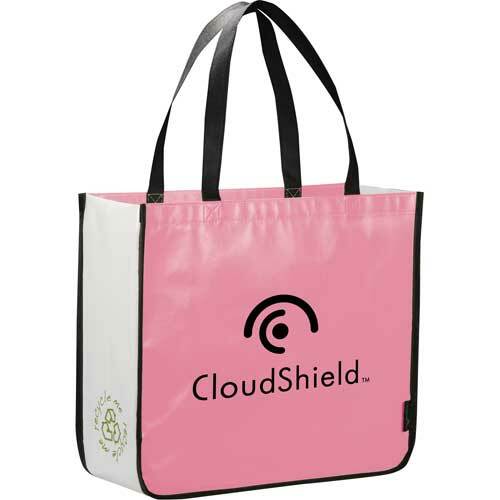 This recycled shopping bag will do the trick all while marketing your event, brand or non-profit for many years offering a great return on your marketing investment. 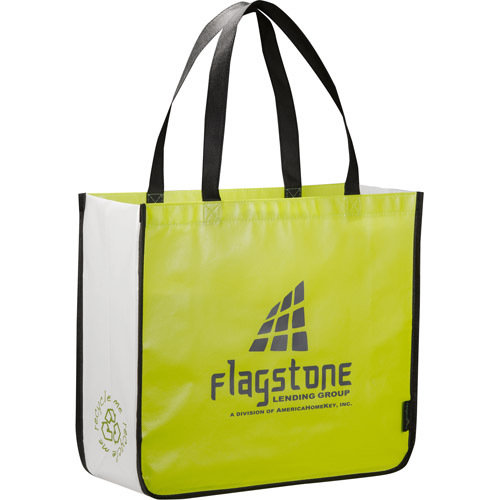 A great way to close the loop as this reusable bag is constructed from recycled water bottles and is fully recyclable when it has lived its usefulness. 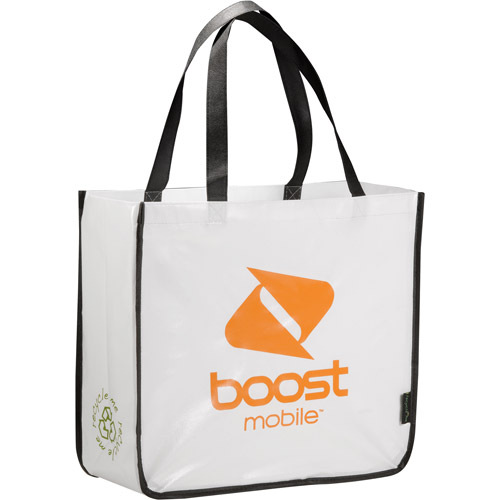 Fully customize this bag at a great wholesale price with any add-ons you can think of like gusset colors all at a wholesale price that won’t bust your marketing budget.